This morning’s chapter is so full of intriguing details that I feel I could spend the entire day digging deeply into the text and the story. 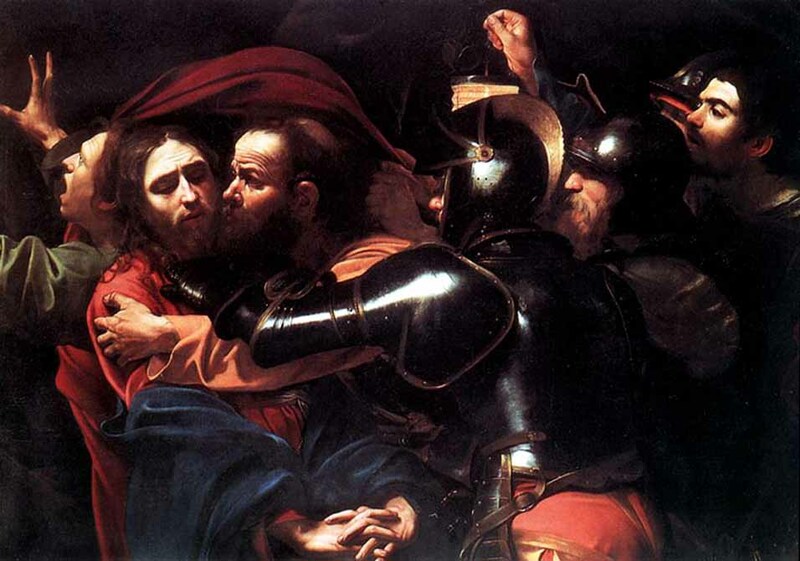 The tidbit that seemed to stir the most thought, however, was Judas’ betrayal. Betrayal is a part of life and I daresay every one of us has experienced some kind of personal betrayal whether it be on the schoolyard playground, our place of work, our family, our church, or the intimacies of courtship, love, and/or marriage. By the same token, I doubt any one of us can claim to be completely innocent of betrayal through the course of our entire life journeys. Human frailties are universal, relationships get messy, and we hurt one another. There is a betrayal, however, that I believe goes deeper than mere human frailty and self-seeking. Evil exists, and that evil contrives, contorts and manipulates to upend that which is good and life giving in order to replace it with chaos and death. At times our human weaknesses serve darker powers. Which leads me to thinking about Judas this morning. He had been present with Jesus and the boys for three years. He saw the lame walk, the blind see, and the hungry fed. He heard Jesus’ teaching the same as the rest. Judas watched Jesus loving sinners and speaking out against the hypocrisy and greed of the religious leaders. He witnessed Lazarus raised to life and shuffling out of his tomb still wrapped tightly in his grave clothes. So what didn’t Judas get that the other eleven did? The other eleven disciples would spend the rest of their lives bearing witness that Jesus’ was the resurrected Son of God. Ten of those eleven would die brutal deaths because of it (tradition holds that John was the only disciple to die of natural causes). But Judas could never see it. Not only did he not get it, but Judas wasn’t content to merely put in his notice and walk away. There was something deep inside Judas that drove him to betray Jesus to His death…for money. Was it anger? Envy? Spite? Greed? Judas makes for a fascinating character study. This morning I am thinking about betrayal. I beg forgiveness for the many betrayals I have committed along my journey, and I am choosing to forgive those who have betrayed me. I also find in my heart this morning the desire to seek out all that is good and right and life giving that it might shine the Light into my soul and reveal any seed in me that might ultimately take root lead me down the dark path to further betrayal. This never happens…..never. Ha! And even if we don’t discuss it, human nature causes us to think it. I hate that.